The 2018-2019 season marks Canadian violinist Jonathan Crow’s eighth season as Concertmaster of the Toronto Symphony Orchestra. A native of Prince George, British Columbia, Jonathan earned his Bachelor of Music in Honours Performance from McGill University in 1998, at which time he joined the Montreal Symphony Orchestra as Associate Principal Second Violin. Between 2002 and 2006 Jonathan was the Concertmaster of the Montreal Symphony Orchestra; during this time he was the youngest concertmaster of any major North American orchestra. Jonathan continues to perform as guest concertmaster with orchestras around the world, including the National Arts Centre Orchestra, Pittsburgh Symphony, Mahler Chamber Orchestra, Filarmonia de Lanaudiere and Pernambuco Festival Orchestra (Brazil). 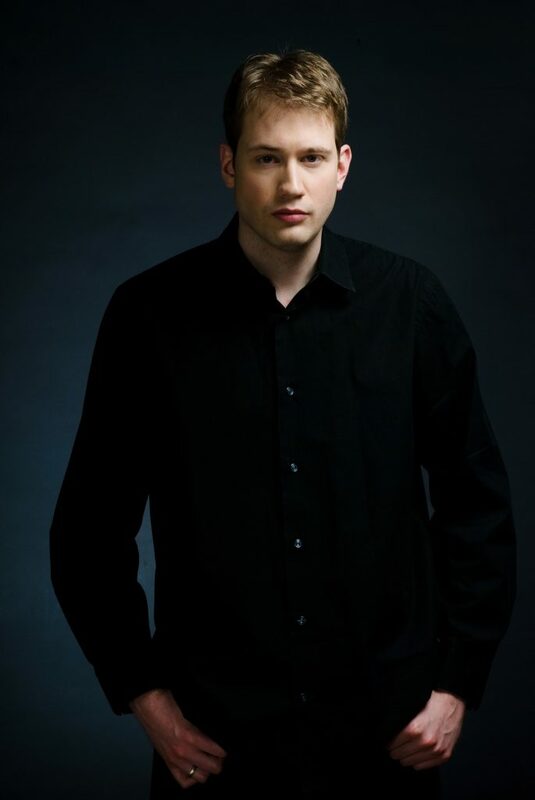 Jonathan has also performed as a soloist with most major Canadian orchestras including the Montreal, Toronto and Vancouver Symphony Orchestras, the National Arts Centre and Calgary Philharmonic Orchestras, the Victoria, Nova Scotia and Kingston Symphonies, and Orchestra London, under the baton of such conductors as Charles Dutoit, Sir Yehudi Menuhin, Sir Andrew Davis, Peter Oundjian, Kent Nagano, Mario Bernardi and João Carlos Martins. Jonathan joined the Schulich School of Music at McGill University as an Assistant Professor of Violin and was appointed Associate Professor of Violin in 2010. Current and former students of Mr. Crow have received prizes at competitions around the world, including the Menuhin International Violin Competition, Montreal Symphony Orchestra Competition, Shean Competition, CBC Radio’s NEXT competition, Eckhardt-Grammatte Competition, Canadian Music Competition, and Stulberg International String Competition, and work regularly with orchestras such as the National Arts Centre Orchestra, Toronto Symphony Orchestra, Montreal Symphony Orchestra, Camerata Salzburg, Konzerthausorchester Berlin, Verbier Chamber Orchestra, Vienna Kammerphilharmonie and Vienna Symphony Orchestra. Jonathan is currently Associate Professor of Violin at the University of Toronto. In 2016 Jonathan was named Artistic Director of Toronto Summer Music, which recently announced record attendance in his first full season. An avid chamber musician, he has performed at chamber music festivals throughout North America, South America and Europe including the Banff, Ravinia, Orford, Domaine Forget, Seattle, Montreal, Ottawa, Incontri in Terra di Sienna, Alpenglow, Festival Vancouver, Pernambuco (Brazil), Giverny (France) and Strings in the Mountains festivals. He is a founding member of the Juno Award-winning New Orford String Quartet, a project-based new ensemble dedicated to the promotion of standard and Canadian string quartet repertoire throughout North America. As an advocate of contemporary music he has premiered works by Canadian composers Michael Conway Baker, Eldon Rathburn, Barrie Cabena, Gary Kulesha, Tim Brady, Francois Dompierre, Ana Sokolovic, Marjan Mozetich, Christos Hatzis, Ernest MacMillan and Healey Willan. He also includes in his repertoire major concerti by such modern composers as Ligeti, Schnittke, Bernstein, Brian Cherney, Rodney Sharman, Vivian Fung and Cameron Wilson. Jonathan has recorded for ATMA, Bridge, CBC, Oxingale, Skylark, and XXI-21 labels and is heard frequently on Chaîne Culturelle of Radio-Canada, CBC Radio Two, and National Public Radio, along with Radio France, Deutsche Welle, Hessischer Rundfunk.